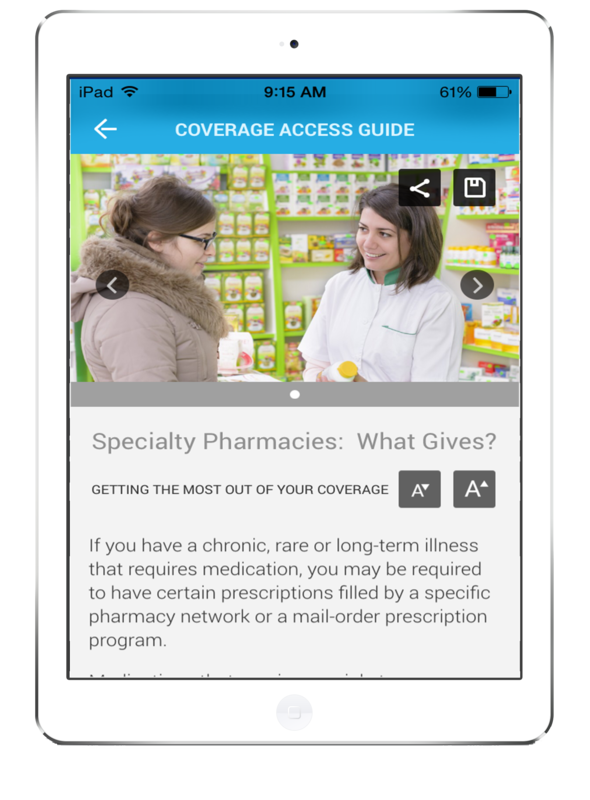 Coverage Access Guide is a free, easy to use, article-based educational guide for all current and future patients, created by the nation’s leading patient advocacy organization. Topics are geared to help both novice and experienced patients prevent common insurance obstacles and enhance their overall healthcare experience. Advice and tips covered within the guide span a patient’s full journey with health insurance from initial plan selection through their usage of plan benefits. Information about patient rights and workplace benefits are also covered to help patients protect their income while facing a life-threatening illness. All articles are written by experienced case managers who work on behalf of patients all across our country. The Coverage Access Guide is perfect for insurance consumers in all states, including first-time enrollees in commercial or government-sponsored health insurance products. This educational project was made possible by a donation from Jazz Pharmaceuticals in an effort to help patients make informed healthcare decisions now and in the future. The Coverage Access Guide is available exclusively in the Apple App Store.